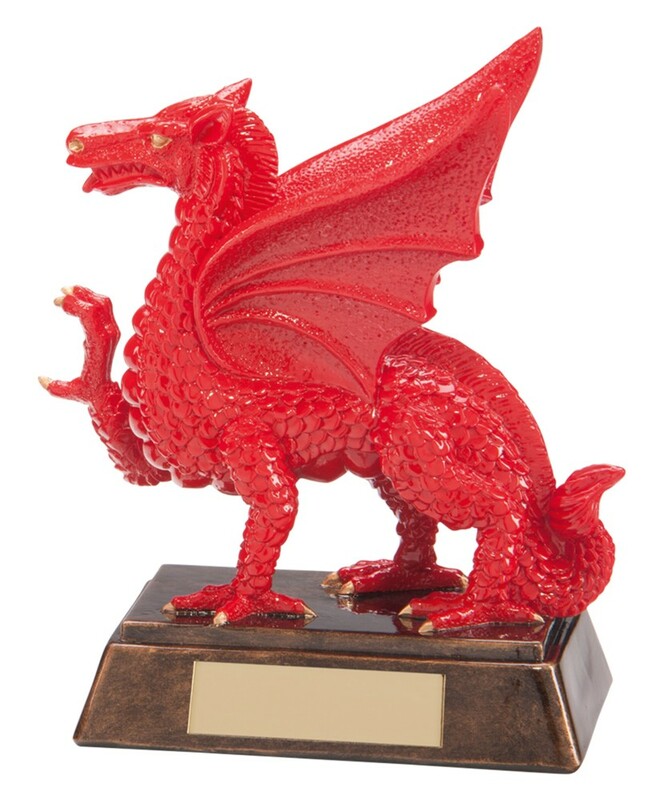 Resin Celtic Welsh Dragon Rugby Trophies. Available in 2 sizes, 135mm and 175mm high. Red dragon with gold detail on an antique gold base. A superb unique award!